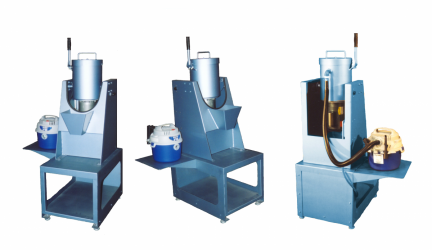 Built for rapid, efficient processing of cremated remains. 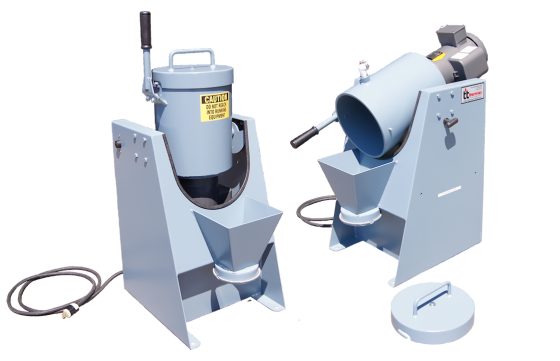 Processes the remains down to 1/16″ to a fine powder. ?Safe – Push button switch operates the processor. When released the processor stops. Average processing time: 35 pound animal in 5-10 seconds; 150 pound animal 10-15 seconds. ?Processing chamber is 3/8″ thick x 10″ round x 13-1/2″ tall steel plate for long life with minimal maintenance. 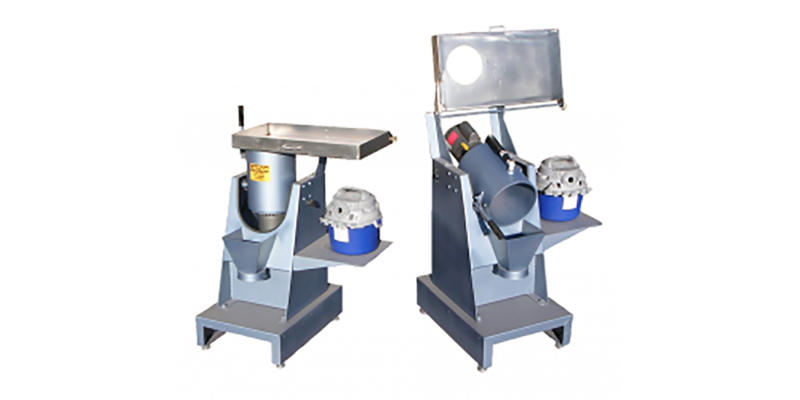 Cam lock lid with gasket for a complete seal & handle for tilting processor for discharge. ?Unique twin flail blade design with easy access for blade replacement. Blades are 1/4″ case hardened steel. Blade life – 800+ processes. ?Space requirements: 20″ wide x 36″ deep x 44″ high. Weight of processor is 220 pounds. ?Electrical Service: 1 hp motor @ 115 volts, 20 amps, single phase or 1-1/2 hp motor @ 230 volts, 15 amps, single phase. Supplied with 8′ heavy duty electrical cord with NEMA L6-15p plug. Matching receptacle L6-15R required (By Others).